I’m writing this post to share some research I stumbled across in the course of my day-to-day work, researching treatments for patients having range of health concerns, in this case migraine headaches. The cause of migraine headaches is poorly understood. Success of conventional treatments is inconsistent. The below is a published case report – basically a detailed record of one patient’s experience of treatment for their migraine headaches using Bowen Therapy (sometimes also called “Bowen Technique“, or BowenWork, among other descriptions). If you want to read the report in detail, you can find it here. In this case report, the patient was a 66-year old female who had been having severe (symptoms including vomiting) migraine headaches several times weekly since approximately nine years of age. She had also sustained severe neck, jaw and temporomandibular joint (TMJ) injuries in two separate automobile accidents. Additional diagnoses of pain causing conditions included thoracic outlet syndrome (TOS) and degenerative disc changes. The patient was suffering migraine headaches; three to four times weekly; and intense chronic neck pain. The pain was of an intensity that use of 10 to 12 Ibuprofen 200 mg tablets also necessitated, additionally, use of ice compresses and rest in a dark room until symptoms abated. Her sleep was disrupted by migraine pain most nights. The patient tracked their progress using the Measure Yourself Medical Outcome Profile version 2 (MYMOP2). She used no other migraine headache treatment over the course of the study. Three, once-weekly treatments were administered, and an assessment made, in order to determine if continued treatment was warranted/desired. Mild improvement was observed after three treatments, and the decision was made to continue treatment. Subsequent treatments were 45 to 60 minutes in duration, and scheduled every one to two weeks. Each treatment protocol was determined by patient feedback, with protocol combinations reflecting symptoms present at the start of each appointment. The end-point of treatment was determined to be when the patient reported no occurrence of migraine headaches or neck pain for two consecutive sessions (i.e., two to four weeks in total). The treatment end-point of two consecutive sessions without migraine headaches or neck pain after 14 treatments, completed over a period of approximately four months. Migraine headaches were first absent after four treatments. Neck pain decreased in a relatively linear pattern between treatments one and nine, after which it was reported as absent for the first time. After treatment 10 neck pain returned following a severe allergic reaction, but resolved after two more treatments. At treatment 14, the patient reported not having experienced migraine headaches or neck pain for two consecutive treatments. At a follow-up appointment 10 months later, the patient reported no episodes of migraine headaches or neck pain, and no new symptoms. You can learn more about Bowen Therapy, including research and more case report findings in treatment of a wide range of health conditions here. Gustafson S. Bowenwork for migraine relief: a case report. 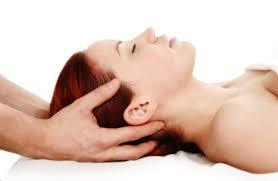 Int J Ther Massage Bodywork. 2016 Mar;9(1):19-28.